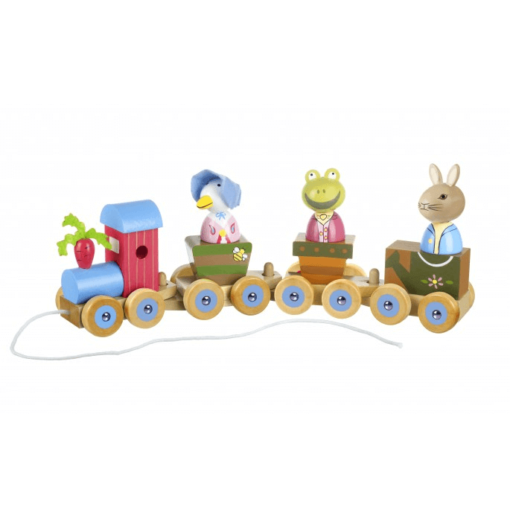 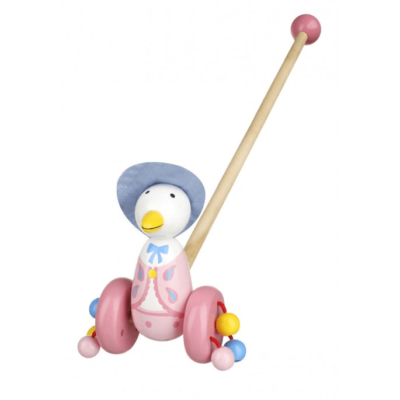 “Choo choo” A simply irresistible traditional wooden Peter Rabbit and Friends train. The train is made up of Peter Rabbit characters and carriages that can be taken apart and re-built time and time again. Once the train has been built up there is a handy string for little ones to pull their train around. 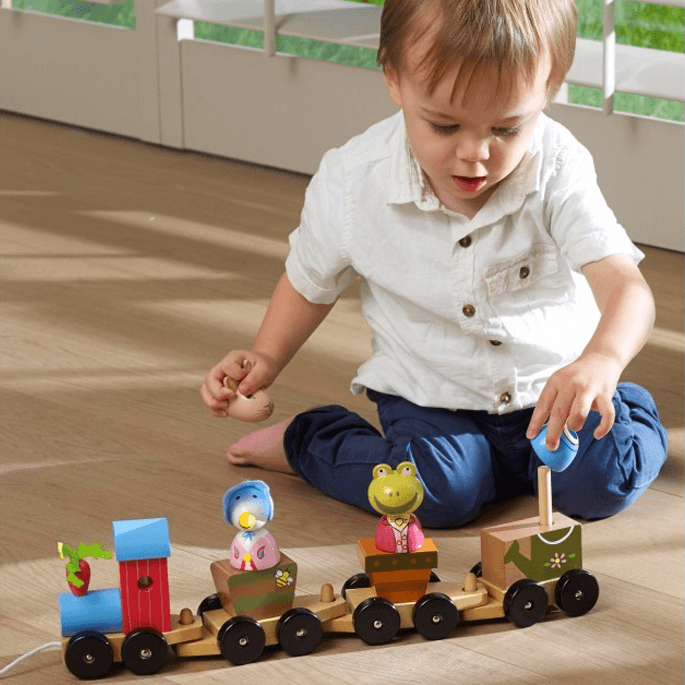 Perfect for all Peter Rabbit fans.